mybackyardicerink.com's Third Win-a-Rink Video Contest! 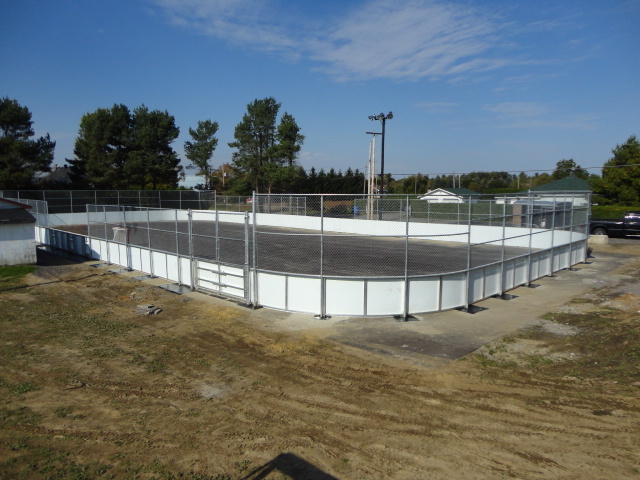 In 2013-14 we gave away a free rink! "Yes, I'd like to enter mybackyardicerink.com's second Win-a-Rink Video Contest!" Once we have your request to enter the contest, you have until the end of season by March, 31, 2019 to upload your video. First, you build a very cool backyard ice rink for 2018-19! 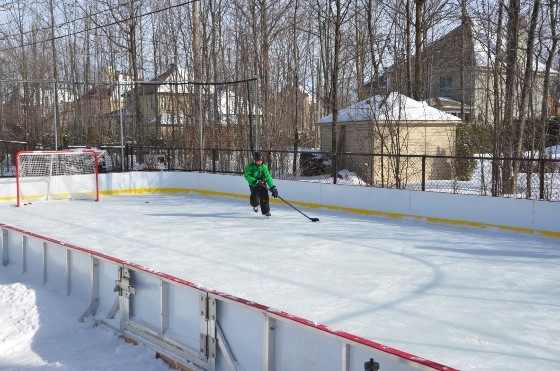 Next, make a attention-grabbing video where a) you show your rink off and b) you let us know how 1. mybackyardicerink.com, 2. mybackyardicerink.com and 3. its community members helped you with the building of your rink! The entry must tell your story and convey a positive experience with a mybackyardicerink.com product and/or mybackyardicerink.com web site. You can walk us through the building process, or you can show us all this in a fun game of 3-on-3 hockey? - whatever you think will make an entertaining and memorable video. Suggested time requirements for video? It is suggested that video submission should be at least 5 minutes and no longer than 8 minutes. Upload you video to the mybackyaricerink.com Community website. We will notify the three winners shortly thereafter! We will fabricate (BRAND NEW) your winnings and we will deliver them to the winners at ABSOLUTELY NO CHARGE by the end of May 2019 or early June 2019 in order to be used the following season 2019/2020! From the participants that have successfully completed all fourteen (14) above the above requiremnts: The three most creative, original and artistic videos win. Most views and votes are not the main criteria. All submissions have an equal chance of winning, even those submitted on March 31, 2019! Make an original, creative and artistic video! The motto of the mybackyardicerink Community is "Let's Talk Backyard Hockey - Help and be Helped!" Perimeter Sheilding, fencing shown below, is NOT included with this contest. Board Panels: 48 inches(4 feet) above floor surface, High-density white plastic, type HDPE UV treated, .500" thick, attached to the frame. 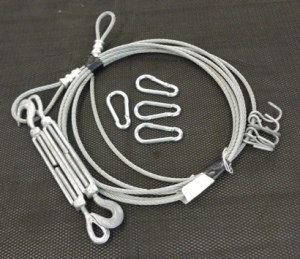 Shielding: NOT INCLUDED IN THIS CONTEST, such as, fencing, or protective hockey rink netting.. If needed, winner can purchase shielding extra to fit this rink at the time of fabrication. This Contest is open to participants in USA and Canada. Family members and/or team members of mybackyardicerink.com will NOT be allowed to enter the contest. The entry must not violate the intellectual property rights of any third party. That means that the video should not contain a trademark or logo of another company, nor any copyrighted materials such as photographs, or posters. Such entries will not be accepted. A minumum of 50 validated participants video submissions are required to enter and participate in order to be considered a Contest and for the prizes to be given away. An unlimited number of validated participants may enter. in order to give a fair opportunity to every participant who has not won a rink already, previous FIRST PRIZE winners(s) of previous Win-A-Rink contests will NOT be allowed to enter the contest. SECOND and THIRD place may enter. 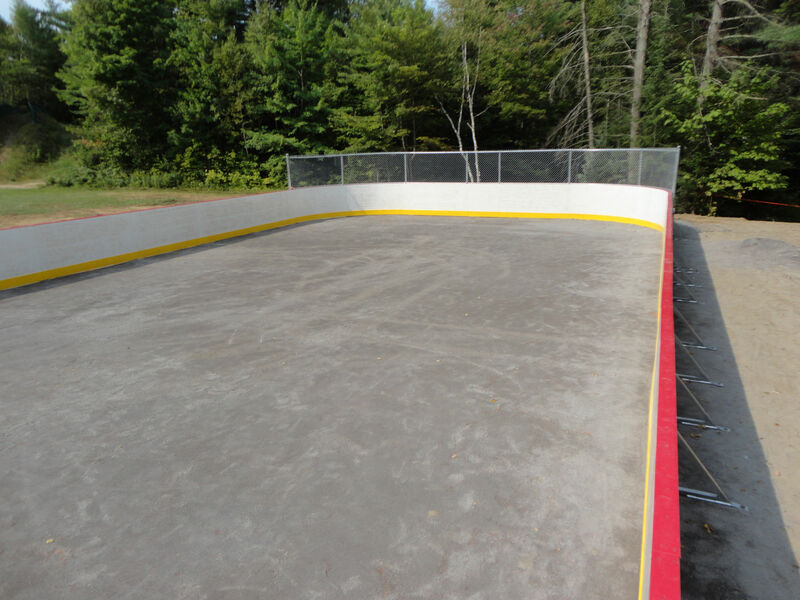 Rink too big? 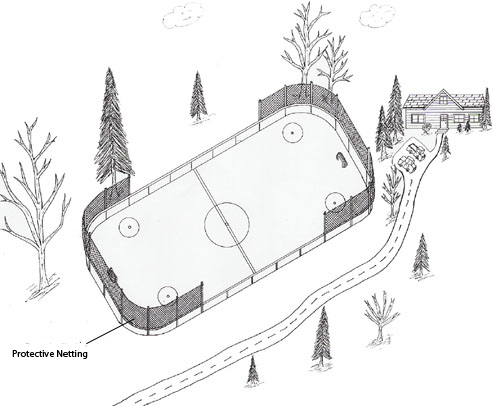 Should the rink dimensions be too large to fit in the winner's backyard, the winner will have the option to reduce the size of rink accordingly in order to fit their space by removing board sections (from width and/or length of rink). In that case, we would offer to the winner additional rink components or rink products (equal in value to the components that they choose to remove) that would complement the rink. 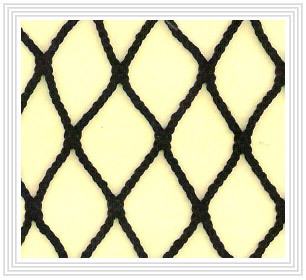 There are many options such as protective netting, support poles, goal net(s), etc. Rink too small? Should the rink dimensions be too small for the winner's preference, and should the winner demand it, we will offer to the winner the choice to increase the rink's dimensions at the winner's cost for the difference.